Pamper yourself with our nourishing, intensely rich Body Butter that helps moisturize your skin. We’ve added the benefits of Shea Butter, Argan and Marula Oils, along with the refreshing and invigorating Citrus Splash scent. This unique formulation will leave your skin feeling soft and utterly pampered. 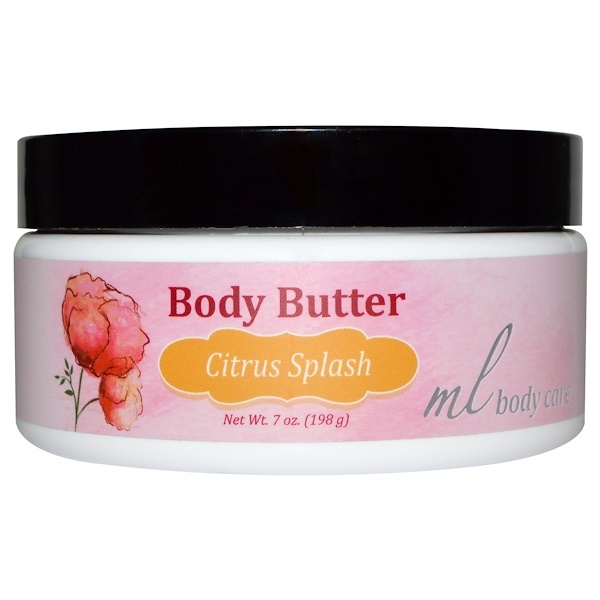 Use this in conjunction with our other Madre Labs body care products including our Body Wash, Body Lotion, Dry Body Oil and Sugar Scrub. Apply to the skin daily as an all-over moisturizer. Purified water (aqua), sunflower (helianthus annuus) seed oil, glyceryl stearate, glycerin, cetearyl alcohol, aroma, tapioca (manihot esculenta) root starch, organic argan (argania spinosa) kernel oil, marula (sclerocarya birrea) seed oil, caprylic acid, shea (butyrospermum parkii) butter, organic cocoa (theobroma cacao) seed butter, organic rose hips (rosa canina) seed extract, organic green tea (camellia sinensis) leaf extract, organic papaya (carica) leaf extract, organic sea buckthorn (hippophae rhamnoides) extract, organic chamomile (chamomilla recutita) flower extract, organic wild cherry (prunus serotina) bark extract, rosemary (rosmarinus officinalis) leaf extract, guar (cyamopsis tetragonoloba) gum, xanthan gum, potassium sorbate.